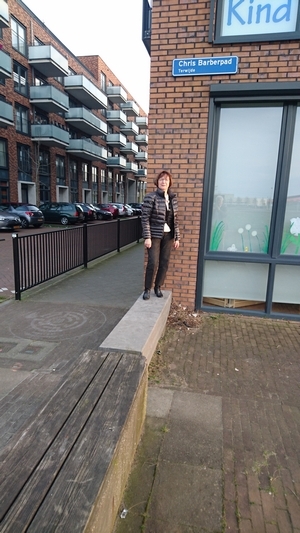 In addition to our message of April 11, 2016, we are adding two more images to this page. 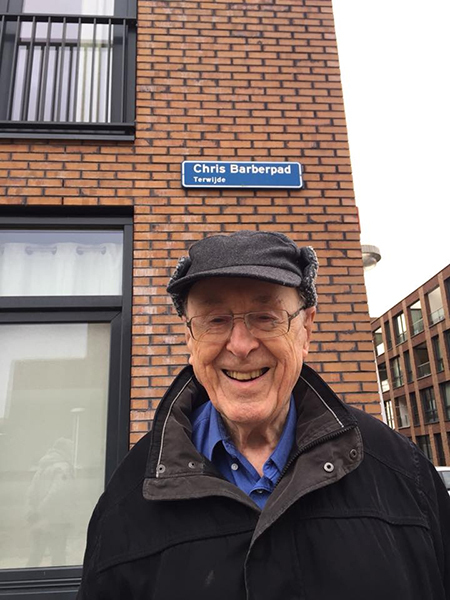 During the bands tour in the Netherlands, Chris Barber visited the new district in Utrecht and stopped at the Chris Barberpad. 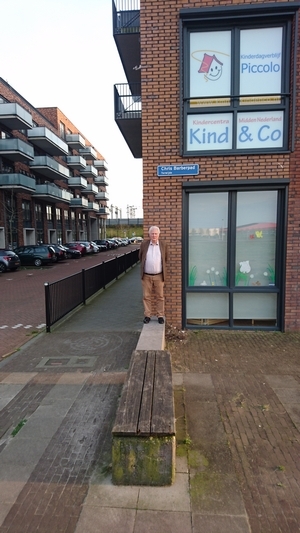 Thanks to Peter Rudeforth and Bert Brandsma for the pictures. 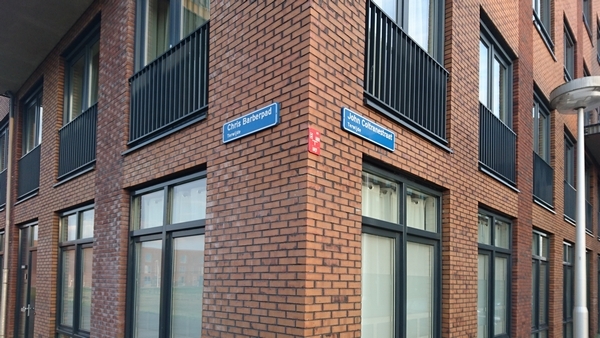 great pleasure that we can announce the Chris Barberpad. 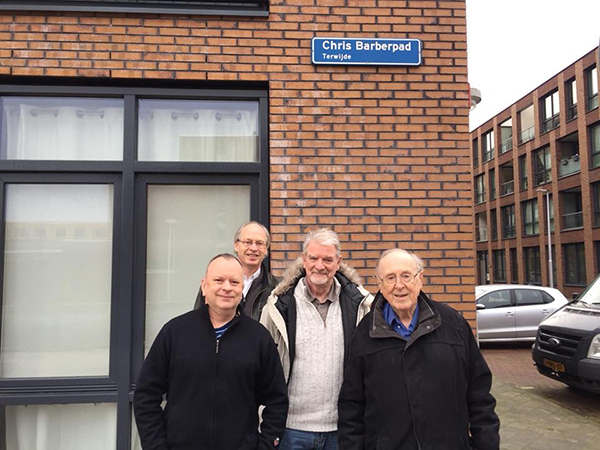 Here are brand new pictures of the Chris Barberpad, taken bei Ria and Wim Wigt, the managers of the Big Chris Barber Band.